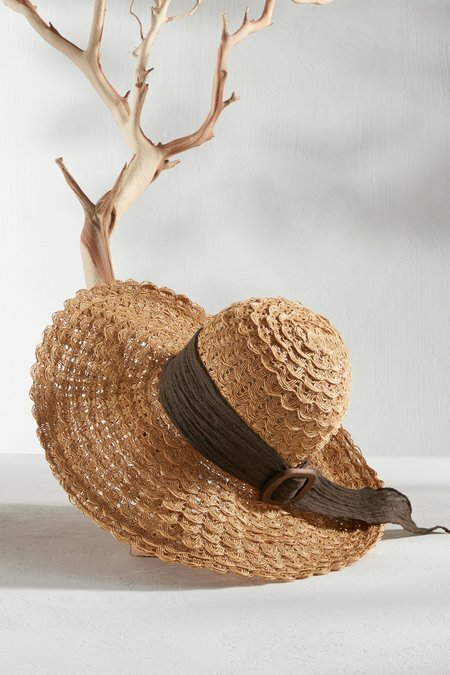 Party-going or beach-bound, this fresh and free-spirited hat offers serious benefits. Wide brim and ruffle paperbraid design offer coverage while internal drawstring allows customized sizing. 25"crown circumference, 5" crown height, 5" brim width, 17" brim diameter.